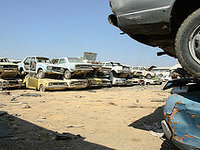 This site offers all the local junk yards near you contact information you're looking for, a few clicks away. Please enter below an address, a ZIP code or a city name and it will show you in seconds all the local auto recyclers that may be of your interest. You can also click on the "My location" button to directly check all the businesses near your city, sorted by distance. In addition, we provide you the option to filter only the recycling centers that are open at this time. Locating a good salvage yard where to acquire second-hand parts for your vehicle at a good price without waiving the corresponding warranty is not always an easy task. Under these lines we provide you a list so that you can browse the different states of the U.S. and check which junk yards are available near your location. We always try to offer you the most verified and truthful contact information, but if you find a mistake please contact us and we will resolve it as soon as possible. » Search salvage yards in USA by State. » Search salvage yards in Canada by Province. Saving a few dollars in these times is something we can not miss, right? For many, going to an official car dealership to buy parts for their vehicle is not a viable option, as these are usually expensive. In my case I prefer to go to a junkyard near me, where it's possible to find what I'm looking for at much lower prices and with warranty. If you have an old car in the garage that no longer works and whose repair seems too expensive, you may be losing money! 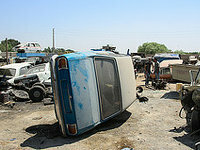 Many users and wrecking yards will be happy to buy your vehicle for the parts, paying you in return a good money. In our site you have both the option to sell your car by parts to other users or to contact a junkyard near you and get a cash quote. 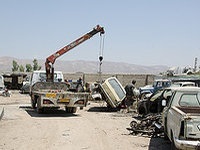 The junk car market has grown very quickly in recent years, especially due to the economic crisis. Not everyone can change his car every 4-5 years and the option of the parts market is increasingly interesting. In our website we want to contribute a little and we give you the possibility to check the cars and the parts that our users have for sale, totally free. There are many and very good junk yards on our database and from here we recommend that you take advantage of the search engine or browse through the listings to find the nearest local businesses. Additionally, you can find under this paragraph the recently featured junk yards near you listing, which stand out for the quality of the vehicle parts they sell, the warranty they offer and the customer service they provide. They offer an highly professional service at good prices, with a huge breadth of inventory and with the warranties requested by its clients. 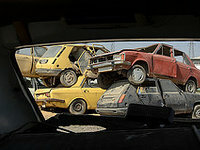 You can find this junk yard in the municipality of Lindenhurst (New York). The Subaru Parts Pros is open from Monday to Saturday. 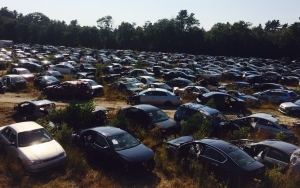 This junk yard located in the municipality of Westbury (New York), provides a very efficient service to its customers, with surprising discounts but with the best quality and a large breadth of catalog. You have the possibility to get in touch with them using: email or phone. This salvage yard is located in Sauk Rapids (Minnesota) and it's providing high quality vehicle pieces to its eventual purchasers in the area. In case you need to request an estimation for your used car or ask for a particular junk piece, please contact them using email and phone. Neighbors of the Los Angeles neighborhood can purchase an extensive catalog of used spares for their cars in this business. You can contact them using: phone or email. 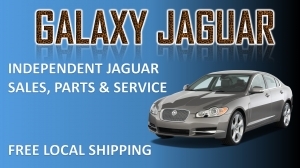 The Galaxy Used Auto Parts is open from Monday to Saturday. It's easy to save large amounts of money on the maintenance of your loved vehicle by purchasing used parts with warranty in this prominent in Berkley neighborhood salvage yard. Additional information: They are open Monday to Friday. It's easy to save large amounts of money on the reparation of your loved auto by purchasing used parts with warranty in this popular in Nashville surroundings salvage yard. The West Nashville Auto Recycling is open Monday to Saturday. They provide an highly competent service at good prices, with a huge variety of catalog and with the guarantees demanded by its customers. 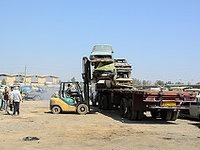 You can meet this salvage yard in the municipality of Rancho Cordova (California). They are open from Monday to Saturday. Do you own an old car or are you looking for second-hand spares for your automobile? We advise you to approach this business, since it has a gargantuan inventory. They work from Monday to Saturday. It's easy to economize large amounts of money on the reparation of your beloved auto by purchasing second-hand pieces with warranty in this popular in Leominster area junk yard. They are open from Monday to Saturday. Has this page been useful for you? Your opinion is very important for us. If you leave us your feedback and rate it, you will help us to improve it.